IMPAQ International is seeking full-time Research Analysts for a 5-year, USAID-funded project in Bosnia and Herzegovina (BiH) scheduled to run until September 2019. The USAID/BiH Monitoring and Evaluation (M&E) Support Activity (MEASURE-BiH) will support a broad range of activities including quantitative and qualitative data analysis, program evaluation, performance monitoring, survey development and data collection, M&E technical assistance, and local social science research and M&E capacity building. 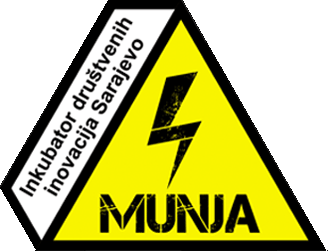 MEASURE-BiH Research Analyst will support a broad range of activities. We offer our employees a stimulating team-oriented professional work environment. Assisting USAID BiH Mission personnel in all aspects of USAID and Mission’s policy related to monitoring, evaluation and learning. Ensuring that the Mission-wide Performance Management Plan (PMP), is a well-documented plan that adequately measures progress and accomplishments under the Mission’s portfolio. Assisting in coordination and collection of inputs from Democracy and Governance Offices to the PMP. Providing technical assistance and support to the Mission staff and Implementing Partners under Democracy and Governance portfolio in order to ensure that Mission team and implementing partners understand and implement the Mission ME&L approach. Participating in the design of a new log frames and ME&Ls for a newly established and ongoing activities, particularly related to the setting of goals, objectives, purposes, targets, anticipated results, indicators and monitoring and evaluation plans. In consultation with the Mission teams, maintaining a schedule for all monitoring and evaluation activities and ensure that they are carried out in a timely manner. Continuously monitoring USAID M&E Policy and requirements/changes, such as for e.g. adjustments of Standard Foreign Assistance Indicators, in consultation with the Mission staff, introduce and communicate these to the Implementing Partners. Bachelor’s degree Social Sciences such as political science, sociology, economics international development or Monitoring and Evaluation is required. At least five (5) years of professional experience in the area of monitoring and evaluation. This should include developing performance management plans, selecting indicators and developing targets, conducting evaluations, surveys, assessments, designing log frames and other tasks related to ME&L and at least five (5) years of experience with reporting on project activities is required. This should include writing quarterly reports, project success stories, final reports, and other reporting tasks. Significant work experience which demonstrates a strong understanding of computer systems, in particular database used to track results and other programmatic information is required. Excellent English Language (written and oral skills) and ability to write technical documents in English, to concisely summarize complex ideas and to edit work is required. Interested candidates should submit a CV and cover letter with the names and contact information for three references by email to: [email protected] no later than January 28, 2019. Please submit a cover letter that details specific research methods you have experience on. All qualified applicants will be considered solely on the basis of merit, and salary will be commensurate to experience. Only shortlisted candidates will be contacted.